We are at the point where the environment needs TLC. 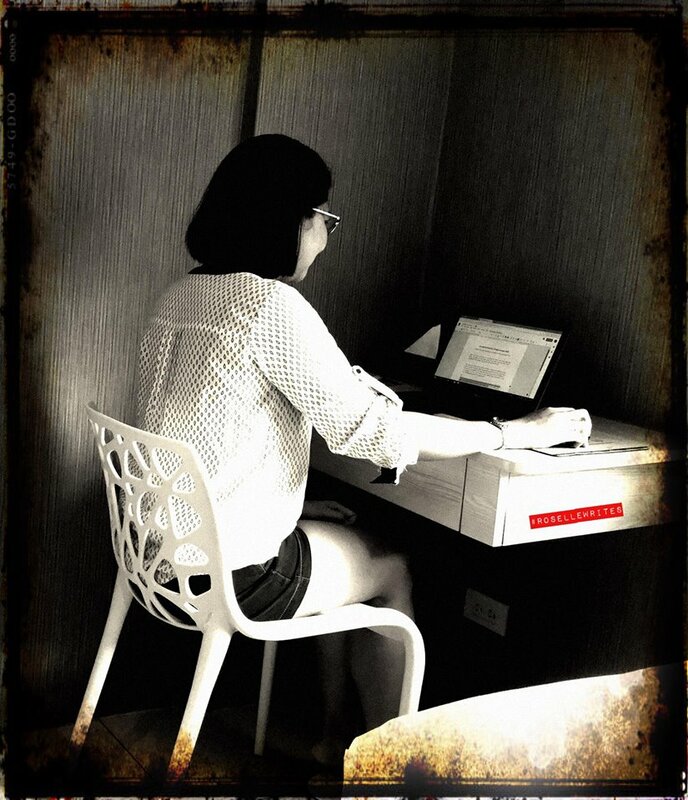 There are different reasons why organizations put up environment protection programs. For The Circle Hostel, the Philippines’ annual 1.88 million tons worth of plastic waste in the oceans was reason enough for its avid surfers and environmentalists to create their multi-award-winning program, The Plastic Solution. “We were encountering plastic debris in the ocean, in our surf, and we wanted to do something about it, something that was not only low-tech but also community-driven,” shared Fiona Faulkner, The Circle Hostel environmental officer. With this in mind, they started The Plastic Solution, an environmental movement which aims to raise awareness of the negative effects of plastic waste consumption and reduce plastics by promoting a zero-plastic lifestyle among community members and repurposing non-biodegradable materials through eco-bricking. The foundation of the project is eco-bricking, the process of stuffing PET bottles with non-biodegradable waste such as shampoo sachets, plastic straws, snack wrappers, and other single-use plastics. The eco-bricks are then used as simple alternative fillers in constructing walls, fences, benches, low-cost community structures, and more. The Circle Hostel project shares the vision of a World Without Waste of The Coca-Cola Company with the goal of collecting and recycling one bottle for each that it sells globally by 2030. The Plastic Solution starts by teaching volunteer partners the basics of eco-bricking then they provide outlets for eco-bricks and accept eco-bricks from volunteers through their collection partners. The organization has successfully constructed different low-cost builds with eco-bricks, including outdoor showers, walls and perimeter fences for their hostels, and an eco-brick base used for a reforestation nursery, in partnership with the Aeta community of Yangil, Zambales. 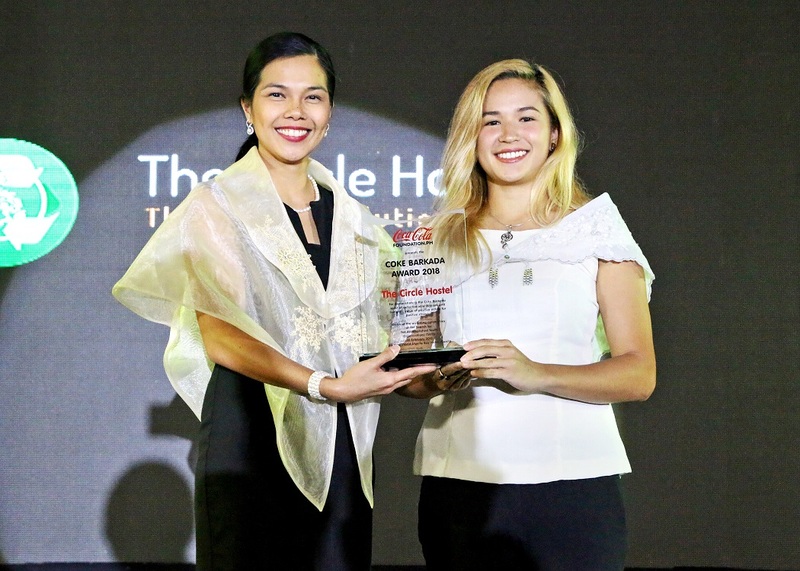 The Circle Hostel is among the winners of the 15th Ten Accomplished Youth Organizations (TAYO) Awards and is the recipient of the special Coke Barkada Award. Coca-Cola Philippines Public Affairs and Communications Director, Jonah De Lumen-Pernia (left) presents the Coke Barkada Award to The Circle Hostel environmental officer Fiona Faulkner, as both their organizations take a stand to create a world without waste. “The Coke Barkada is an award that we’ve been giving for the past 12 years to the group that best demonstrates the Coke Barkada spirit of collective volunteerism, working together for the community and living the value of positive action for change. The awardee for today is also fitting very well with our commitment as a company to a world without waste,” said Jonah De Lumen-Pernia, Coca-Cola Philippines Public Affairs and Communications director. Aside from this environmental initiative, the Philippine business unit of The Coca-Cola Company also spearheads other advocacy programs such as the 5by20 Sari-sari Store Training and Access to Resources (STAR) Program, Minute Maid Nurisha supplemental program, and the Coca-Cola Agos Program. 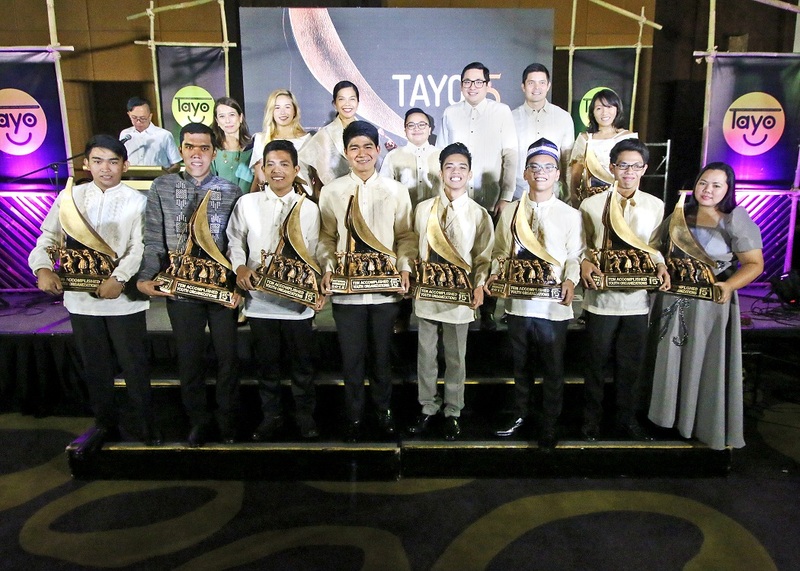 Coca-Cola, along with the TAYO Awards Foundation, Inc. and its other partners, continue to recognize outstanding youth organizations which have made a positive impact on the country through innovative programs, returning with the 15th TAYO Awards. The other 15th TAYO Awardees were the Tanay Mountaineers, Inc., Division Federated Supreme Student Government and Supreme Pupil Government of Cagayan De Oro City, Samahan ng mga Iskolar ng Compostela Valley, Fine Arts Major Organization (FAMO), Silid Aralan Inc., Bangsamoro Young Leaders, Sulbec 4H Club, UP Genetic Researchers and Agricultural Innovators Society (UP GRAINS), and Make A Difference Travel.